Imagine: You want to go rock climbing, so you grab your gear and head for the nearest senior housing community. And why stop there? Basketball courts and badminton might be offered, too, if senior living providers take gymnasiums to the next level–and this type of ultra-gym might be the ideal amenity, in the opinion of at least one architecture and design expert. With only one week left to apply, judges are gearing up to pick the winners of the 2015 Senior Housing News Design & Architecture Awards, exclusively sponsored by Kwalu. Senior Housing News welcomes first-time Design Awards judge John Cronin to the 2015 judging panel. Check out his thoughts on the trending topics in senior housing design this past year. JC: Due to extended life expectancies, more and more emphasis is being placed on health and well-being, and people are taking a proactive approach to their health care. Senior living communities are embracing this health-focused mentality and want to work with teams that can help them create spaces that will support wellness programs. The physical environment and programming need to work together to encourage resident mobility and socialization. This is more than a state-of-the-art fitness center, although elevating this amenity is part of the trend. 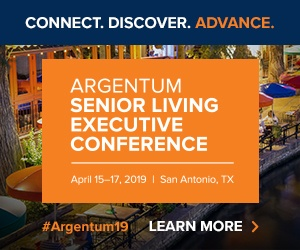 Creating destinations throughout a senior living campus that entice residents and replicate the desirable qualities of a walkable urban community add vibrancy to their daily lives. JC: I don’t believe senior living is falling short. All congregate living situations, whether rental apartments, hotels or senior living communities, are providing plenty of activity space for socialization and physical recreation. The senior living providers we work with make that type of community activity a priority. The goal is to create a vibrant lifestyle and engaging community experience. The difference with senior living is the longevity of the stay for the residents. So, the challenge is to keep residents engaged and inspired with the environment, amenities, service and programming day after day, year after year. JC: Mobile devices containing an individual’s personal care plan elevates the patient and staff experience, allowing design teams to readdress the physical environment. This technology saves time and makes the whole health care delivery component of senior living more personal and interactive. JC: The best thing operators can do on projects today that will strategically support the future development of their community is to invest in a structural system that offers design flexibility. Needs change, so likewise spaces need to be able to change to address the evolving expectations of one generation of residents after another. It is an important part of the design phase to consider structural systems that will allow the physical environment to adapt to these changing expectations. JC: As I think about the extracurricular activities enjoyed by various generations right now, I believe an expanded recreational facility would be an ideal amenity. Beyond providing an adequate fitness area that offers weight equipment and treadmills, it would be nice to provide a gymnasium facility to support a variety of activities, such as basketball, badminton, volleyball, kickball, etc., maybe even a rock climbing wall. Just think of all the ways that type of facility could build a sense of community with residents, staff and families as well as with the surrounding neighborhood. John Cronin has more than 25 years of experience in the exterior and interior design development of senior living communities, large scale housing developments, mixed use buildings as well as assisted living and memory support facilities. With each architectural project he finds a point of inspiration and becomes immersed in the details of the building and the impact of the design on the user as well as the surrounding community. John’s thoughtful approach to every detail reflects his total commitment to his profession. In his free time, John enjoys spending time outdoors as well as studying history, cosmology and physics.